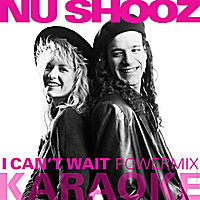 In 1984, Valerie Day and husband, John Smith, recorded a self-produced five-song EP with their band Nu Shooz. Listener reaction to their funky dance track called “I Can’t Wait,” was strong and immediate – the kind of response known in radio jargon as “instant phones.” Airplay spread and the tune made its way to Europe, where a Dutch engineer created a remix that came back to the US and caught fire in New York dance clubs. “I Can’t Wait” reached #3 on the pop charts, #1 on the Urban charts, #1 on the Dance charts, and hit the the top 10 in Europe and Britain in 1986. Nu Shooz went on to record several other hit singles, and after selling more than a million records world wide, was nominated for a Best New Artist Grammy in 1987. “I Can’t Wait” continues to be played somewhere on earth every 11 minutes.